Always go with a list. Always! You are 10 times more likely to spend more unless you walk with a list of what you need. Go through your pantry, fridge and freezer and list off what you need. This is a great way to save. Follow your list and stick to it! 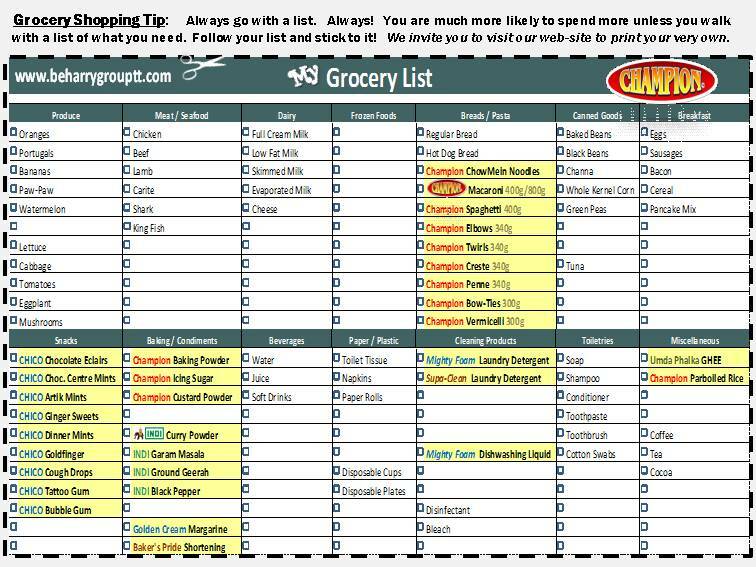 Hey, we’ll make it easy for you…….. here’s your very own special grocery list – courtesy of CHAMPION. Sent me your best export price for all CHAMPION products for distribution in The Netherlands.Also find me the cheapest way to sent. want to know the freight charges.